Farmhouse style houses are a hot trend right now and it's easy to see why. These inviting homes are a call-back to simpler times where food and family were the center of life. Eclectic furnishings, bright open kitchens, and cozy fireplaces are all staples of the perfect farmhouse. 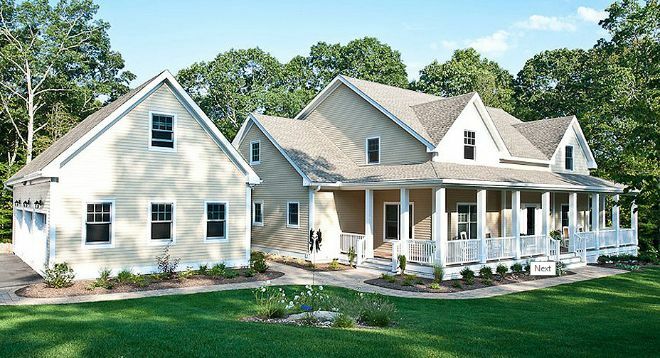 Even if you've decided on owning or building a farmhouse, there's still plenty of options when it comes to layout. 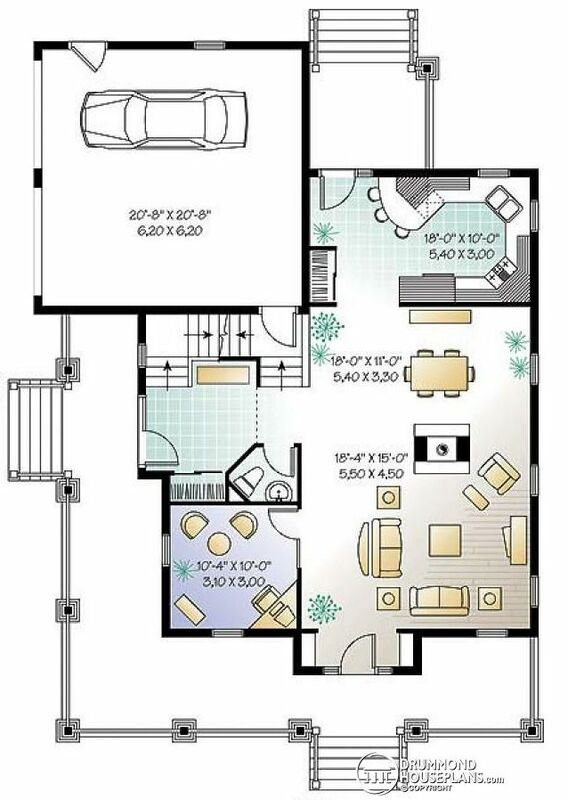 Take a look at the six-floor plans below and decide which features fit you and your family best. 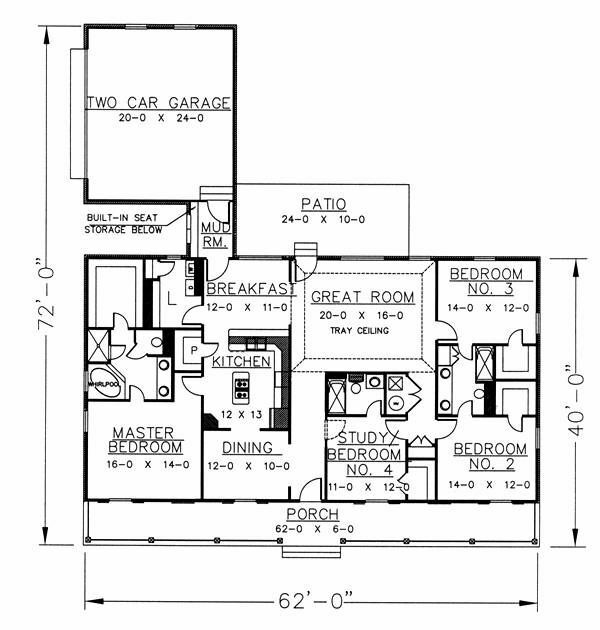 If you're interested in purchasing any of these house plans, be sure to click on the title links. 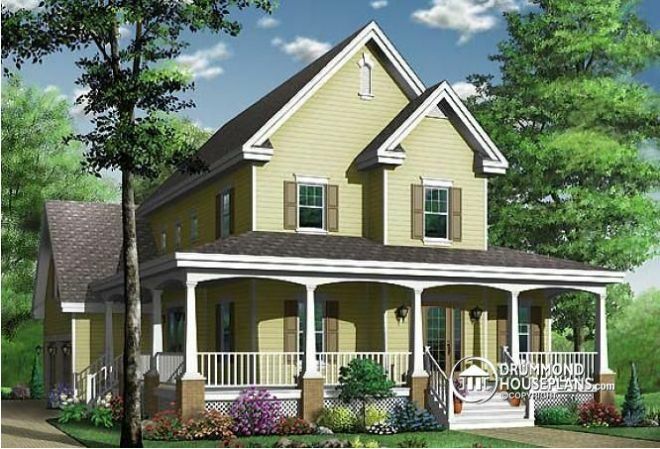 This charming farmhouse welcomes you with an inviting porch that wraps around three sides of the home. Inside, you'll find a living room with a central fireplace, bright windows, and a vaulted ceiling. 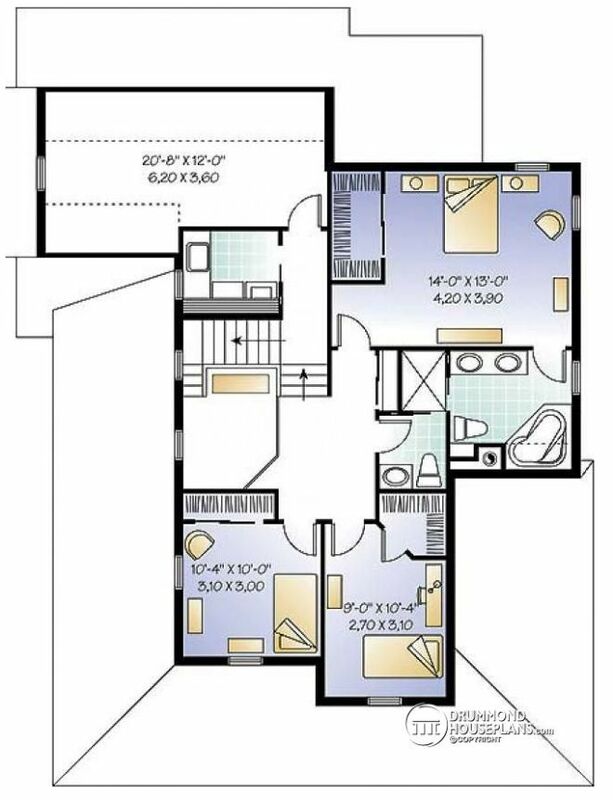 The master bedroom enjoys easy access to a generous bathroom with a convenient laundry space included. Upstairs are two more bedrooms and a bathroom. 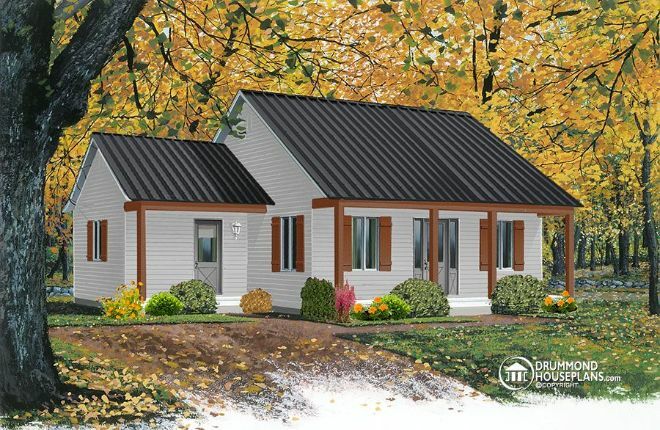 This small but efficient house plan is less than 1,000 square feet. Enter into a spacious living room with plenty of bright windows. Towards the rear of the house is the dining area and kitchen with its own entrance. 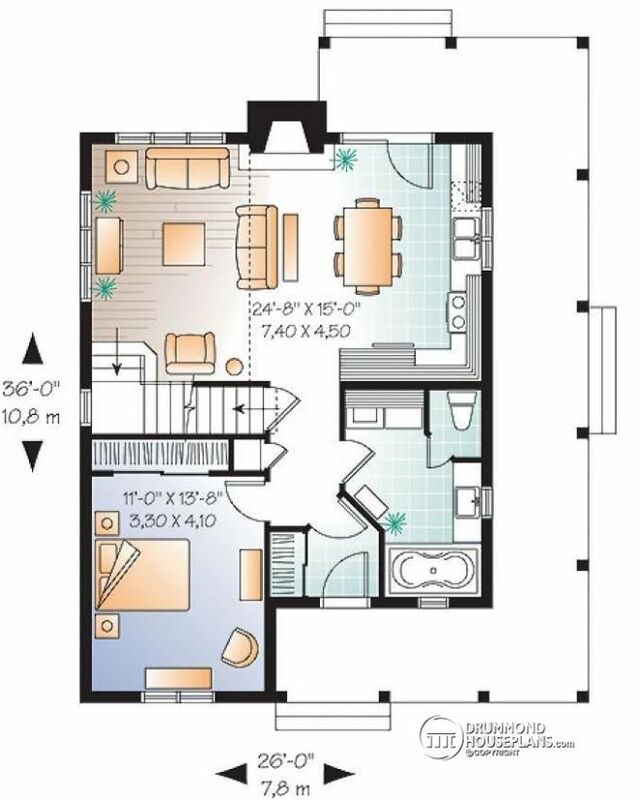 Two bedrooms are located on the right side of the home with plenty of closet space. A perfect porch wraps two sides of this swoon-worthy farmhouse. A cozy living room shares a two-sided fireplace with the dining area. The nearby kitchen enjoys backyard views and easy access to a grilling deck. 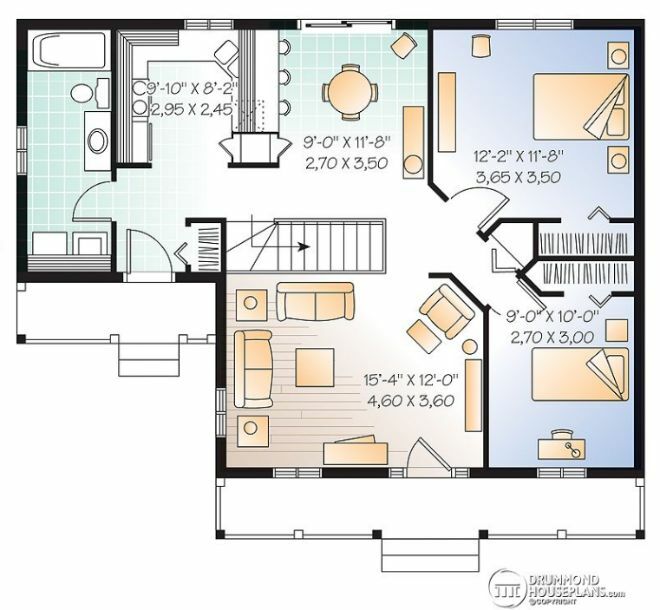 Upstairs you'll find the master suite and two additional bedrooms; all with easy access to the upstairs laundry. 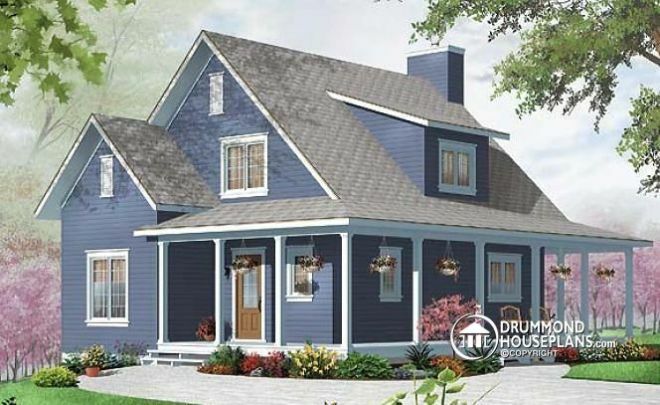 The front porch on this plan extends the entire width of the house. As you enter, to the right is a bedroom or office. 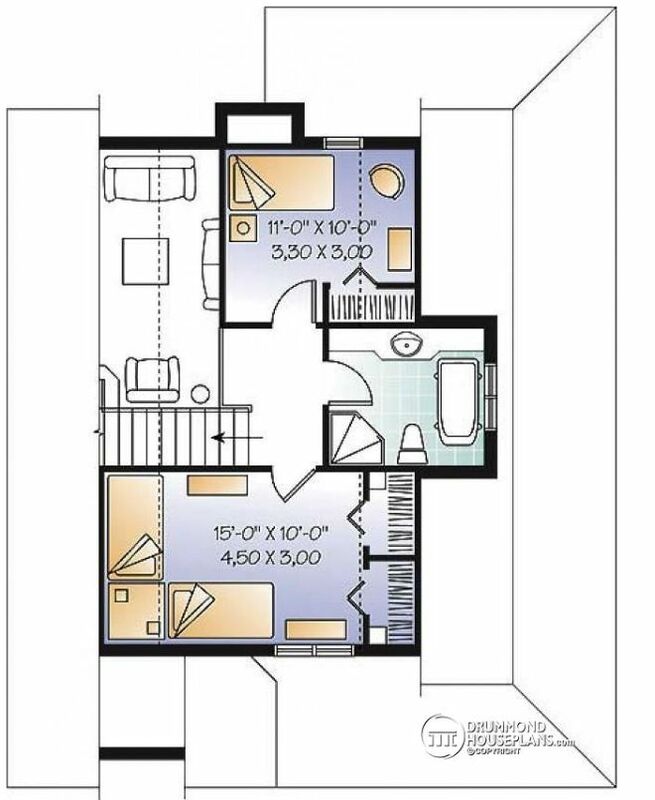 On the same side, there are two family bedrooms. The open great room is connected to the breakfast nook that leads into the spacious kitchen. 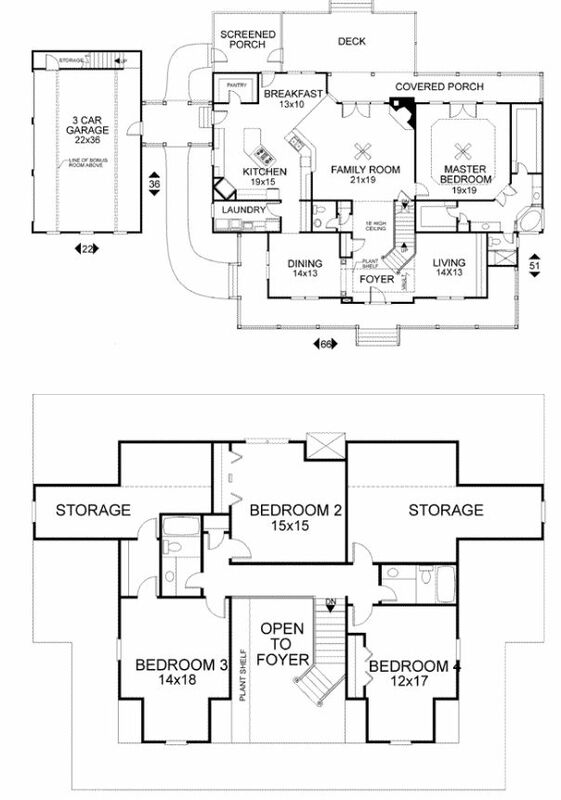 The master suite is privately located on the right side of the house. 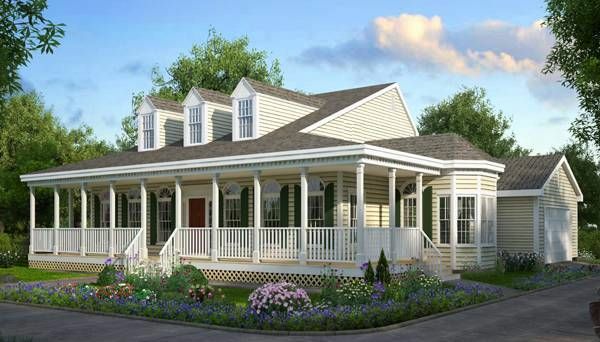 Three dormers and a gorgeous porch give this farmhouse a classic look. Inside, a corner fireplace warms the formal living room. The dining room is brightened by a bay window. The casual family room features French doors to a backyard terrace. The master suite is secluded located on the far left of the home. 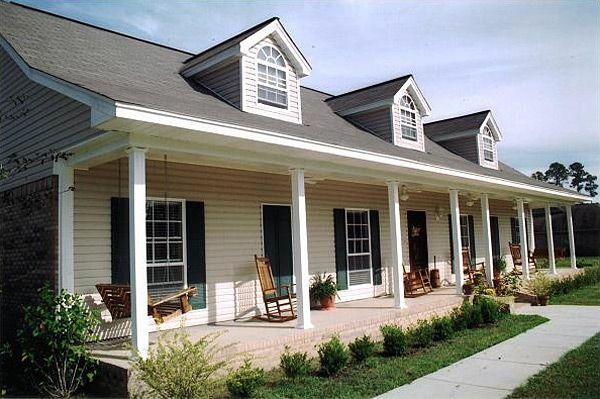 This luxurious farmhouse has all the modern conveniences a large family desires. Featuring a formal dining and living spaces off the foyer, plus a spacious great room with a fireplace; there's plenty of room for entertaining. The kitchen includes a large island and breakfast nook. 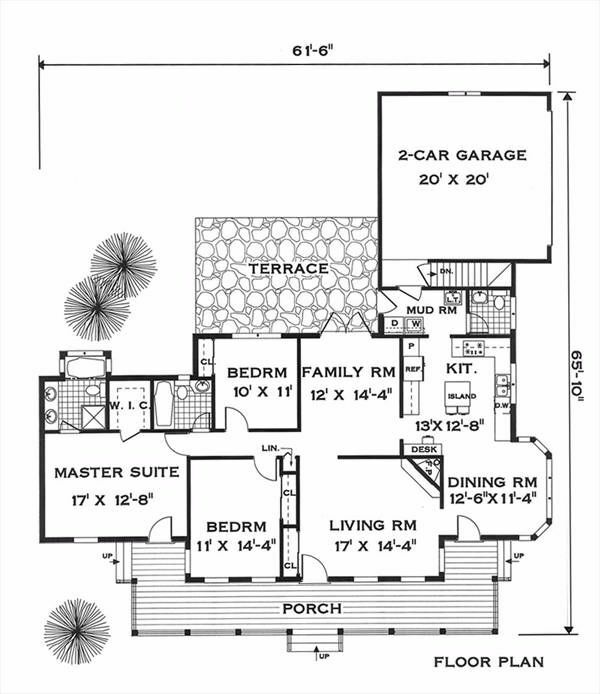 The master suite is on the main floor and three family bedrooms are upstairs. 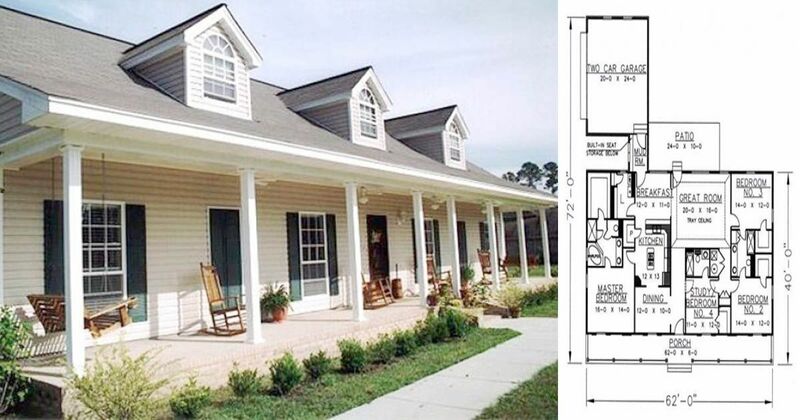 Which one of these farmhouse floor plans is your favorite? Let us know and make sure to share this article with your friends.